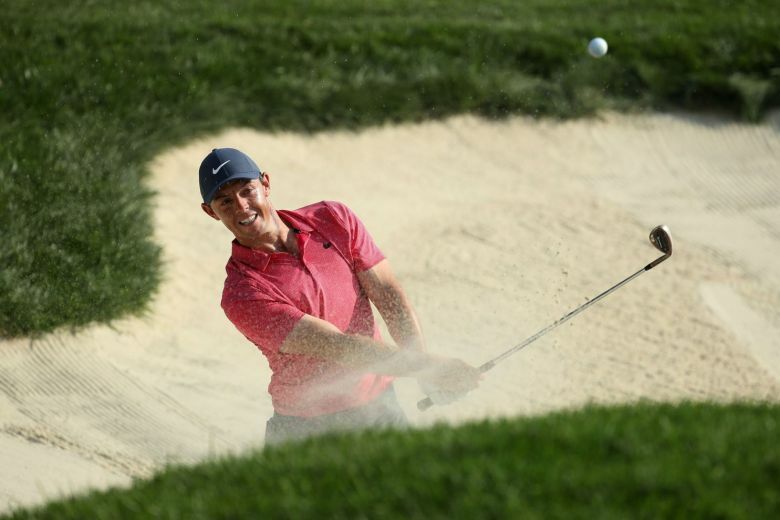 Tiger Woods shot his lowest opening round in two decades – but still had to share the lead with Rory McIlroy at the BMW Championship in Philadelphia. The 14-time major winner’s eight-under-par 62 was his best opening round score since hitting 61 at the 1999 Byron Nelson Classic. 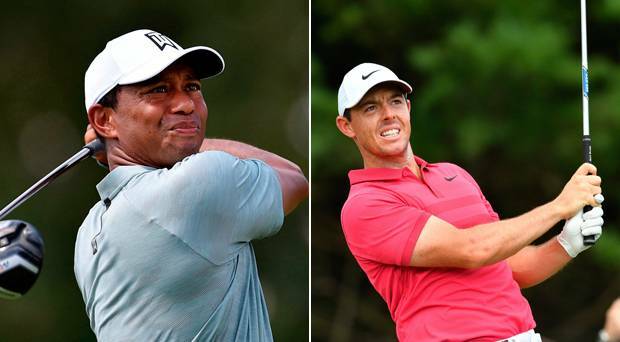 Northern Ireland’s McIlroy briefly threatened to dislodge Woods before equalling the American’s score. “To shoot 29 on the front nine helps. It helps a lot,” Woods said. His season’s best round at Aronimink Golf Club came in the week he returned to the United States Ryder Cup team after a six-year gap in which he has battled injury and personal issues. The 42-year-old was one of captain Jim Furyk’s wildcard picks for the event. 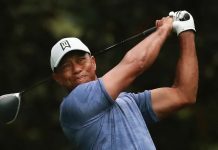 Woods ended last year ranked 656 in the world but has risen to 26 on the back of what has been a consistent and largely uninterrupted season after spinal fusion surgery. He led in the final round of July’s Open Championship before finishing sixth, then was runner-up at last month’s PGA Championship. Woods said much of Thursday’s success was down to him digging out a 19-year-old putter – used in 13 of his 14 major wins more than a decade ago. McIlroy did threaten to trump his rival with a round that included a career-best six birdies in a row – before bogeying his 16th and 17th holes. The 29-year-old recovered with a birdie on the last to ensure a share of the opening-round spoils with Woods. 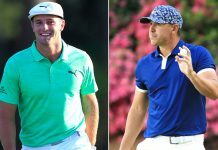 American Xander Schauffele, who is trying to impress Furyk enough to earn the final wildcard spot on the US Ryder Cup team – announced after this tournament on Monday – sits one shot behind the pair. The BMW Championship is the third of the four season-ending FedEx play-offs which start with 125 eligible players. The number of players is reduced at each event – with 70 contesting this one – before the top 30 contest the decisive Tour Championship in two weeks’ time.